New innovation patterns such as open innovation, user innovation or soft innovation are challenging established ways of developing innovations. It can be expected that some of these concepts and models become widely diffused in the future while at the same time totally new innovation patterns may emerge. A better understanding of plausible long-term scenarios for changing innovation processes and configurations and its implications for society and economy can help practinioners and policy makers in developing specific strategies to exploit the full potential of new innovation patterns. The INFU Foresight exercise aims to develop scenarios of future innovation landscapes in order to support strategy building for policy and other innovation actors. The scenarios will outline how future actors may collaborate in new configurations and with new approaches to transform knowledge into products and services within different socio-economic frameworks. To generate this anticipatory intelligence INFU is implementing an explorative dialogue with key stakeholders and experts using advanced creativity methods to foster thinking beyond established pathways and up-to-date prospective methods to structure the debate and ensure rigour of analysis. 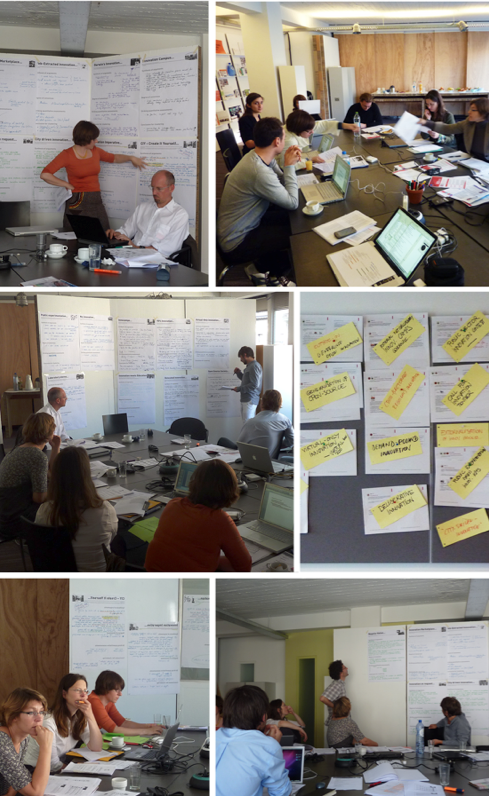 These bottom-up visions are confronted with different possible socio-economic framework conditions and global mega trends to finally synthesise consistent scenarios that are integrating micro, meso and macro elements of possible innovation futures with particular emphasis on the changes in nature and content of research. The explorative analysis will be complemented with a debate on the desirability of different innovation futures based on an assessment of the scenario implications for key societal challenges such as sustainability. Options for policy strategies to prepare for the identified changes in innovation patterns are derived together with key policy actors. The INFU project is funded by the 7th EU Framework programme and runs from June 2009 to January 2012.